In our country dance classes you will have one instructor teaching a group of students. You can come with or without a partner since, in country dances classes, there will be both leaders and follower so that everyone gets a chance to dance. This will also allow you to meet new people, make new friends, and learn to lead or follow different partners. We offer up to 80 group classes per month. Classes are available 6 days per week in both the afternoons and evenings. WILL I NEED A PARTNER? No. During our group dance classes, you'll have one instructor with both leaders and followers present. We'll put the leaders on one side of the room and the followers on the other. We'll teach the leaders and followers their steps seperately and then pair the students up to try it with a partner. Couples will get chance to dance with eachother, and we encourage rotating of partners so that you may try your part with different people. We recommend all new students begin with a private lesson first. This is the best way to meet the instructors, see the studio and get an idea of what to expect. It is also the best way for the intructors to meet you, deermine your skill level and rate of learning. The first private dance lesson is free and we will be better able to show you many different available options to continue learning. No two students are the same. We teach dance classes 6 days per week. There are 70 to 80 group dance classes per month and they are available afternoons, evenings, and weekends. WILL I HAVE GOOD TEACHER? There's no real good way of experiencing the knowledge, experience, and professionalism of our country dance instructors except to decide for yourself. 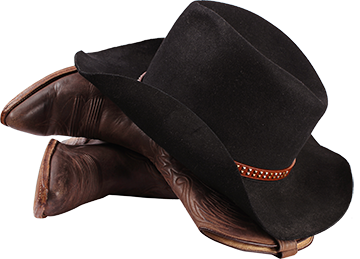 Our professionals eat, sleep, and breath country dance and have decades of experience and training as full time country dance instructors, performers, and competitors. We're not your typical ballroom dance studio who "also" teaches a little country dance. Just ask one of our students, or give us a try and decide for yourself! Try an introductory private lesson to get started. We teach private lessons by appointment Monday through Friday from 1pm to 10pm, and Saturdays from 10am to 6pm. © 2018 Country Dance Houston. Offering group country dance classes Houston in all 8 country dance styles. We teach country two step dance classes Houston, polka, waltz, east coast swing, nightclub two step, cha cha, triple two step, and west coast swing country dance classes Houston TX. Call (281) 541-2121 to try country dance classes.